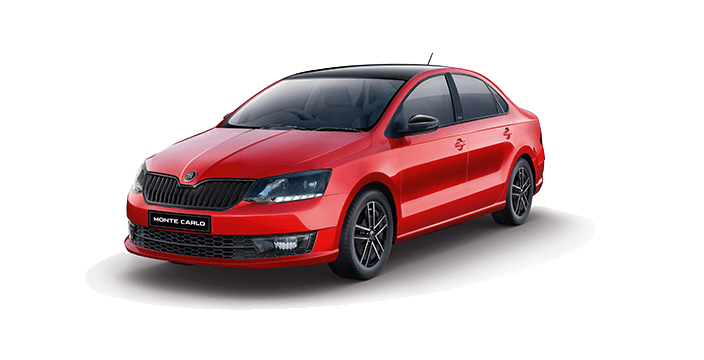 2018 Skoda Rapid gets safer offering 4 airbags for passengers. Skoda India has had immense success in the past couple of years. The Skoda Rapid, Octavia and the Superb are the most selling models by the manufacturer in the nation. Skoda has been famous for their tank-like build quality and their top of the line safety measures. While other players like Audi, BMW, Mercedes and Jaguar suffer from super premium prices, Skoda offers the same level of sophistication in a more pocket-friendly package. The 2018 Skoda Rapid has been updated with added safety feature i.e. 2 additional airbags. Read along to know more. The Skoda Rapid use to employ 2 airbags to secure its front passengers in case of an accident. Now, Skoda has updated the Rapid for 2018 with 2 additional airbags in the top-end Style trim. The Skoda Rapid is offered in three trim levels i.e. Active, Ambition and Style. The range-topping Style grade gets the updated airbags. The new side airbags protect the front passengers in case of a side impact. The Active and Ambition offer two airbags and ABS which is standard across all variants. These grades carry rear parking sensors as well. The 2018 Skoda Rapid carries the very same drivetrain. The 1.6-litre MPI petrol engine and a 1.5-litre TDI diesel power the Rapid. The petrol unit churns out 105 PS of power and 153 Nm of torque. The diesel unit develops 110 PS of power and 250 Nm of torque. The petrol motor comes mated to a 5-speed manual or a 6-speed Tiptronic automatic gearbox. The diesel is offered with 5-speed manual or a 7 speed DSG dual-clutch transmission. The Rapid delivers a fuel economy of 15.41 km/l and 14.84 km/l for the petrol manual and automatic transmission respectively. The 1.5-litre TDI unit is good for 21.13 km/l and 21.72 km/l for the 5-speed manual and 7-speed DSG transmission respectively. The 2018 Skoda Rapid petrol Style variant retails at INR 10,61,230 for the manual variant and INR 11,85,300 for the petrol automatic. The diesel tops the range at INR 12,42,713 for the manual Style variant and IR 13,56,679 for the DSG automatic variant. The 2018 Skoda Rapid remains unaltered except for the top variant featuring four instead of two airbags. The Rapid competes with the likes of Volkswagen Vento, Honda City, Hyundai Verna and Maruti Suzuki Ciaz. With added safety and identical pricing, the Skoda Rapid is going to make competition more fierce.